 Kelham Island CX – Through the lens – Sheffield Urban CX 2018 – Entries Live! Duncan Wiggins joined us at KICX as race photographer. Here is his take on what the day was like behind the lens. 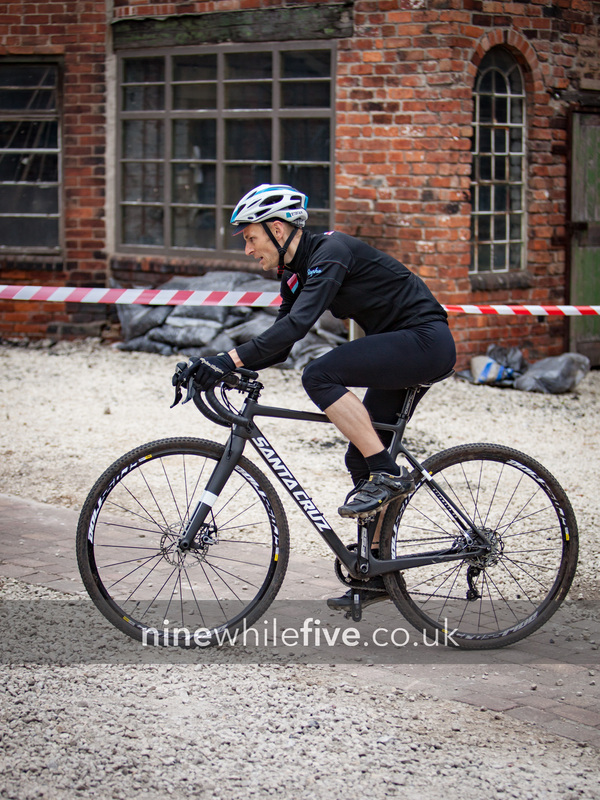 Things I love: Sheffield, bikes, bike races, industrial museums… When I heard about plans for a CycloCross race at Kelham Island it sounded incredible and the only question was whether to ride or take photos, either way I was going to be there. Having recently set myself up as a self-employed photographer though it seemed a bit more sensible to take the camera. A chat with organiser Adam and a site visit before the day meant I had access to some cool spots and everything planned. Well almost everything. 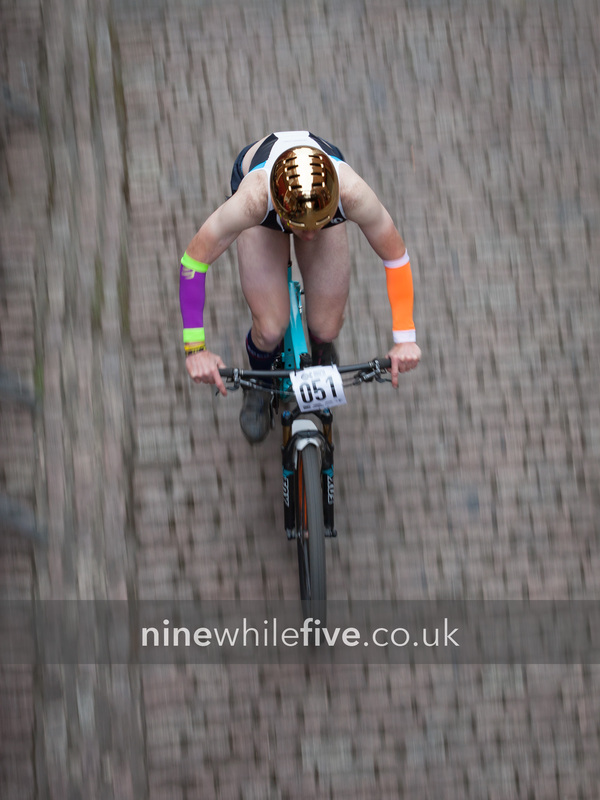 The wide variety of obstacles on the course and the short races meant that choosing the best angles was just the first part, as I then had to figure out a way to get between them while the racing was underway. Rob Friel (Sport Men) incorporated KICX into his stag doo. His racing kit certainly made an impression. Rob was the Sport Men’s winner! The rollers looked fun to ride but I decided to focus on the angles that were unique to this event. The ancient Henderson’s Relish sign from their old factory was a must, and the magical Little Mesters street, which as well as being spectacular backdrops for the riding weren’t accessible to spectators. Besides, nobody was going to jump those rollers on a cyclocross bike, were they? With the racing underway I was shuttling between the bridge, which was a popular spot to watch the racers speeding over the cobbles, the inside of the museum, and the finish straight. The atmosphere in the big hall upstairs was amazing, with loads of spectators also making the most of being able to move around the course easily to see lots of the action. 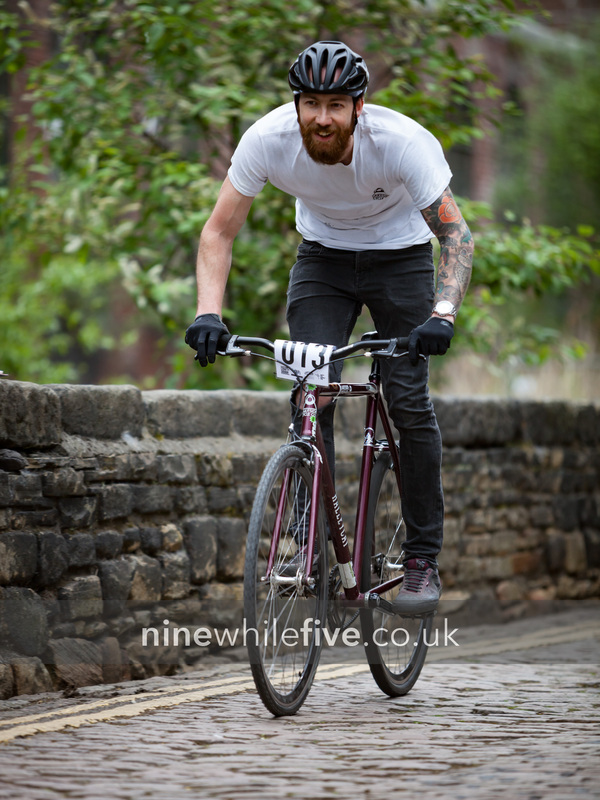 Reece Jones (Amateur Men) on the cobbles. It was great to see the variety of bikes at KICX. CX, Singlespeed, MTB’s all featured in the race and each one had its own merits. As the fastest riders were lapping in under two minutes there were plenty of opportunities to get the shots I needed but no time to rest. It would have been great to pop up to Craft and Dough for some refreshments but I wasn’t going to miss anything. I nearly missed my favourite shot of the day though. In the last few minutes of the last race, I was inside the museum when one of the riders sped past, shouting ‘I’m clearing the wooden doubles round the back!’. Surely not… Having seen this chap ride at Bolehills BMX track though I knew it was on, so I ran round to the rollers just in time to catch him flying through the air, drop bars turned for extra style. Thanks for the heads up Rich! 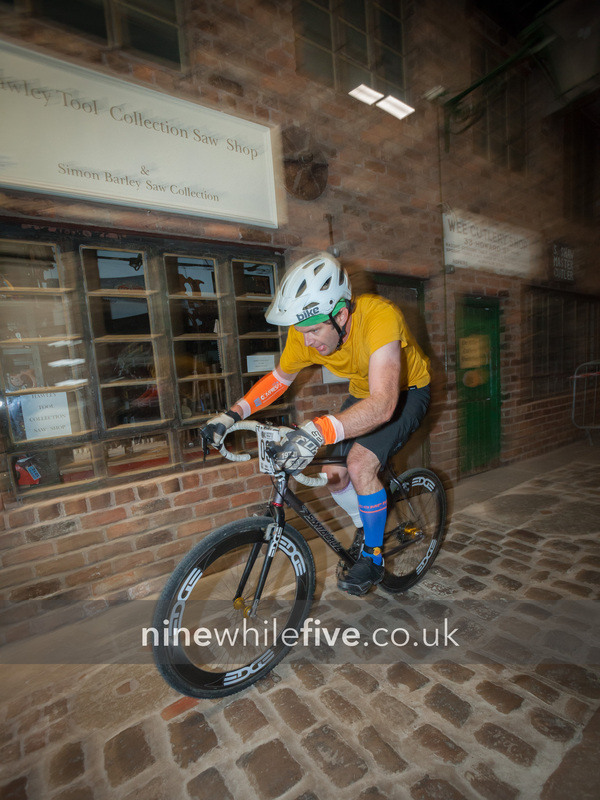 Back home, photos edited and uploaded, I’m already looking forward to the next round of the Sheffield Urban CX. The winning formula of Sheffield landmarks and CX racing is proved and I’ll certainly be there to capture the action.